They have initiated to gather stubble and turn it into pallets to provide it to companies that can use it. This is meant to solve the problem of stubble burning. 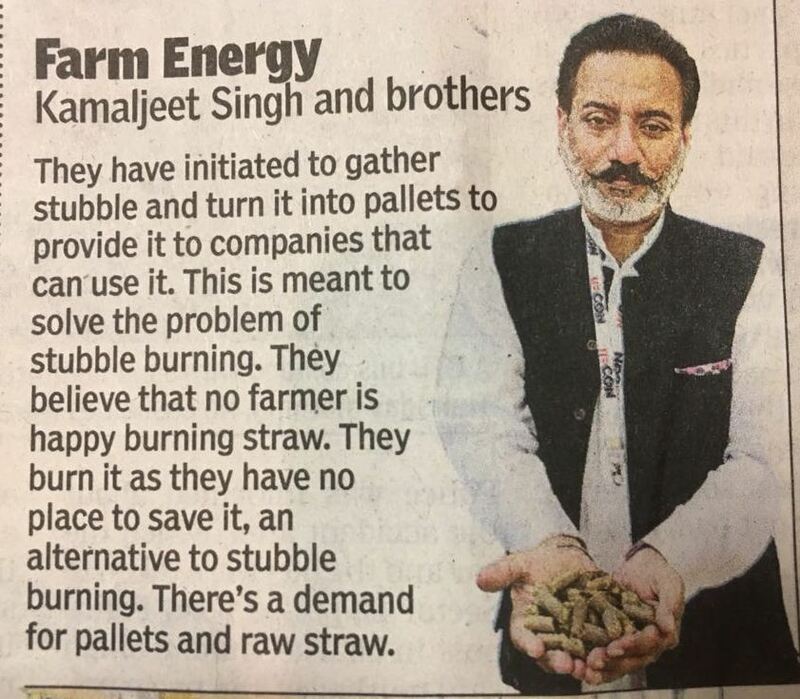 They believe that no farmer is happy burning straw. They burn it as they have no place to save it, an alternative to stubble burning. There’s a demand for pallets and raw straw.